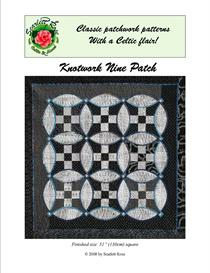 This is the second booklet in a series of miniature designs by Scarlett Rose of Scarlett Rose''s Celtic & More. This booklet features a collection of eight different Welsh Love Spoons. 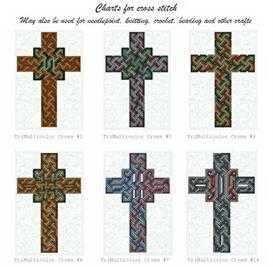 These black and white charts are mainly for cross stitch, but could be used for other crafts, such as beading, needlepoint or quilting. 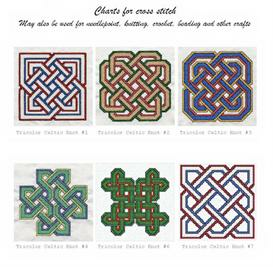 Any craft that uses graphed charts could use these designs! 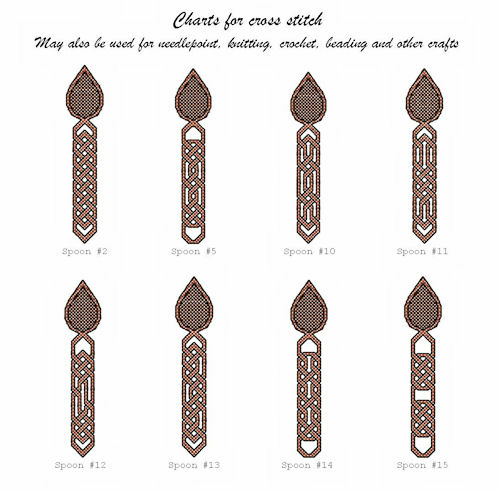 All the mini Welsh spoons in this collection measure about 3/4" x 3.75" 19mm x 95mm in size, if stitched on 14 count Aida cloth. 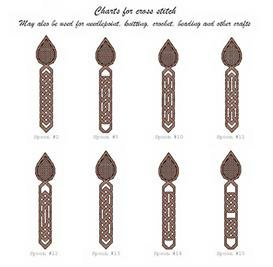 They are ideal for use on bookmarks and many other small projects!